The Munster Reds overcame a strong MCC side in a thrilling 1 wicket victory to follow on from their two impressive T20 victories over the Northern Knights last week. 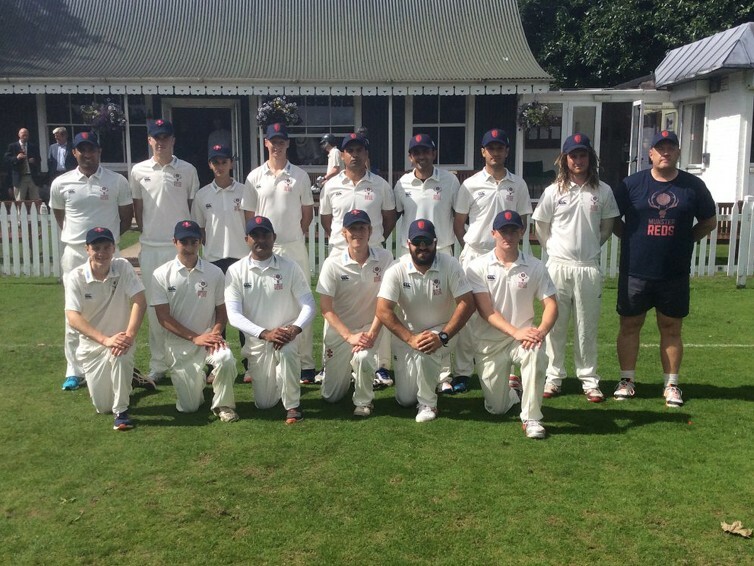 The strong MCC side which included Leinster Lightning opener Bill Coghlan batted first and straight away took advantage of some quick but full deliveries from the Munster openers David Murphy and Mudassar Aziz, moving quickly past 50. Munster came back strongly and at drinks held the MCC to just over 100. After the interval, Coghlan (161 including 12 sixes) really got into his stride smashing some wayward bowling to all parts of the ground. Coghlan was eventually well caught by Cormac Hassett off the bowling of David Murphy, the latter had to retire injured shortly afterwards after taking a heavy blow to his chest while attempting a running catch. Other notable bowling performances for Munster Reds included Irish U17 International Aaron Cawley (2-37 off 9 overs) and the experienced Abubakar Saddique with 3 for 49. The MCC finished their innings with a commanding total of 287. In reply, despite the Reds lost some early wickets the scoring rate remained reasonably good with Arslan Anwar (County Kerry) excelling in particular, bringing up a very classy 123 with roughly 10 overs to go. As wickets fell at the other end, Anwar was joined at the crease by two of Munster's more promising youngsters, sharing a valuable partnership of 77 with Kaasim Alam (26) and 35 with Sufyan Khan (17). Both batsmen provided him with excellent support and looked very confident at the crease by taking the attack to the visitors. The MCC continued to chip away on the Reds middle to lower order and following the loss of a few more wickets, the required rate had reached 10 runs per over with just 6 remaining. Mudassar and Junaid Amin came together to put in a fantastic rearguard action and took the game away from the MCC with Junaid making 30* off just 9 balls to see the Munster Reds home by the tightest of margins with just 4 balls to spare. Another great win for the Reds showing the strength in depth and also gave a glimpse of the quality of some of the provinces quality underage players at present. The sides meet again on Friday for a T20 encounter at the Mardyke starting at 1pm. Munster Reds XI 288-9 (Anwar 123, Amin 30*, Alam 26) beat the MCC 287-6 (Coghlan 161, Saddique 3-49, Cawley 2-37) by 1 wicket at the Mardyke.